December 18: 5 POWER Lessons From 5 Leaders Who Made History On This DAY! Sometimes, the most valuable lessons of life come from people you never expected to learn from. Today might be one such day where you might learn some of the most important lessons for you to lead a better life from these great leaders of our history, who have been the reason to change lives and continue to do so, while they still live through these lessons! 1. Talent is always rewarded with what it deserves. With talent and perseverance, everything is possible. 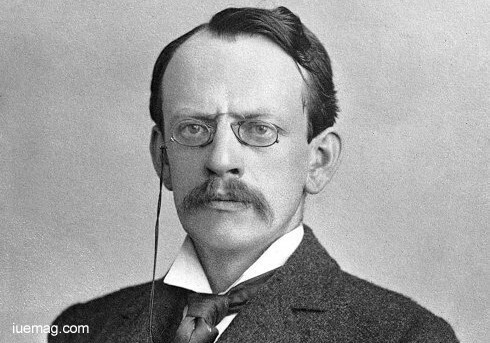 Sir Joseph John Thomson was the English physicist, who is credited with the discovery and identification of the electron; and with the discovery of the first subatomic particle. Thomson is also credited with finding the first evidence for isotopes of a stable element in, as a part of his exploration into the composition of positive ions. His father was a bookseller who planned for Thomson to be an engineer. When an apprenticeship at an engineering firm couldn't be found, Thomson was sent to bide his time at Owens College at the unusual young age of 14. In 1876, he received a small scholarship to attend Trinity College at Cambridge to study mathematics. Thomson worked in the Cavendish Laboratory after graduation, under the tutelage of Lord Rayleigh. He quickly earned a membership in the prestigious Royal Society and was appointed Rayleigh’s successor as the Cavendish Professor of Physics at the University of Cambridge, at the early age of 28. at the University of Cambridge.The appointment caused considerable surprise, given that candidates such as Richard Glazebrook were older and more experienced in laboratory work. He was both respected and well-liked, and students, some of who were even elder to him, came from around the world to study with him. 2. Let your passion be the reason for your existence and success, the product of your persistence! 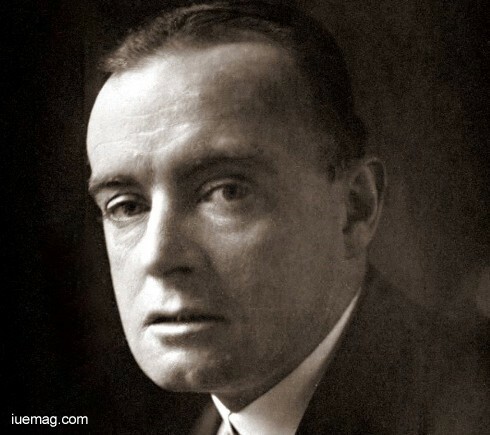 Hector Hugh Munro, better known by the pen name Saki, and also frequently as H. H. Munro, was a British writer whose stories satirize Edwardian society and culture. When he was in his early 20s, Munro went to Burma (Myanmar) to join the Colonial Burmese Military Police and two years later, having contracted malaria, he resigned and returned to England. Thereafter, he embarked on his career as a journalist. He wrote for various publications including the Daily Express, the Bystander, The Morning Post and the Outlook.. Two years later, having contracted malaria, he resigned and returned to England. At the start of World War I, Munro was 43 and officially over-age to enlist, but he refused a commission and joined the 2nd King Edward's Horse as an ordinary trooper. He later transferred to the 22nd Battalion of the Royal Fusiliers, in which he rose to the rank of lance sergeant. More than once he returned to the battlefield when officially still too sick or injured! His passion to serve the country gained him true love from his people. 3. A diamond is a chunk of coal that made good under pressure. If you are feeling the pressure today, you will soon shine! 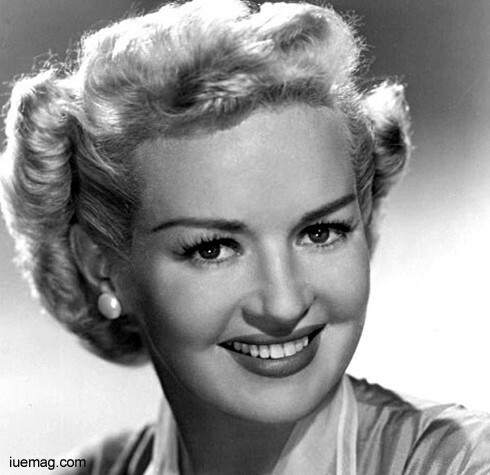 Setting a record of 12 consecutive years in the top 10 of box office stars, Elizabeth Ruth Betty Grable acted in 42 movies during the 1930s and 1940s, grossing more than $100 million. Nicknamed "Betty" as a child, the young girl was pressured by her mother, to become a performer, despite Betty not being interested. She was entered in multiple beauty contests, many of which she won or for which achieved considerable attention. Betty was enrolled in a variety of performing arts lessons and classes before she turned four years of age. If there were no amateur shows or auditions available, her mother would arrange impromptu gatherings to put Betty on display. Every time she was pushed, she got better at it and began to love the attention she got. She made her film debut in ‘Happy Days’ at the age of 12. Her first film, ‘Probation’, provided her with her first credited screen role when she was still 14. In 1943, she was the number-one box-office draw in the world. The Treasury Department in 1946-47 listed her as the highest-salaried American woman. Two of her biggest film successes were the musical ‘Mother Wore Tights’ and the comedy ‘How to Marry a Millionaire’, one of her last films. Grable has a star on the Hollywood Walk of Fame at 6525 Hollywood Boulevard. She also has a star on the St. Louis Walk of Fame. She was inducted into the Hall of Famous Missourians. 4. Life shrinks or expands in proportion to one’s courage. Courage doesn’t mean you aren’t scared; it means you go anyway! 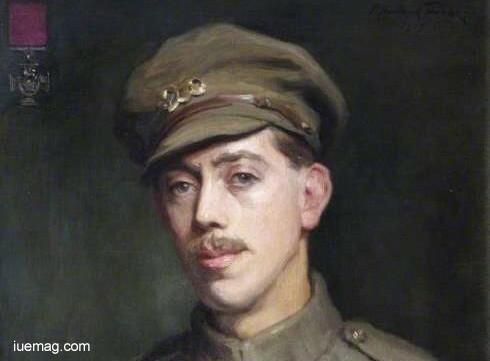 Frederick William Owen Potts, more commonly known as Trooper Fred Potts, was an English recipient of the Victoria Cross, the highest and most prestigious award for gallantry in the face of the enemy that can be awarded to British and Commonwealth forces. He joined the Berkshire Yeomanry and demonstrated his bravery and compassion in 1913 when he was 21 and saved a young man drowning in the Thames. This incident made Potts a minor celebrity in Reading but it was two years later during the fighting of the First World War when Trooper Potts was recognised as a true hero. Potts and his unit were shipped out to Egypt in 1915 and soon found themselves involved in the Gallipoli Campaign directed against the Ottoman Empire. Potts charged towards the summit of the hill but soon was shot through the leg and fell to the ground. As he attempted to find cover from the Turkish machine guns he heard the sound of a fellow wounded trooper Arthur Andrews, who was crawling towards him. The two men spent three days trapped on the battlefield together, in pain from their injuries, under the hot Turkish sun. 5. You can’t help getting older, but you don’t have to get old. Age is only a number; your passion doesn’t have an expiry date! Walter Dorwin Teague, was an industrial designer who pioneered in the establishment of industrial design as a profession in the United States. He was often referred to as the "Dean of Industrial Design". Books on architecture in his high school library influenced Teague's desire to become an artist. To earn money upon his arrival in New York, Teague began sign painting. 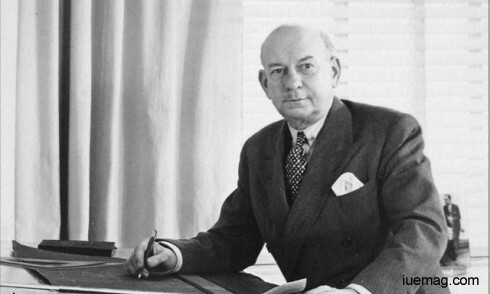 At age 43, Teague established a sole proprietorship devoted to product and package design. He added "Industrial Design" to his letterhead upon landing his first big client, Eastman Kodak. He designed a number of well-known Kodak cameras, including an Art Deco gift camera and the Baby Brownie. In 1936 when he was 50 years old, he designed the Bantam Special, considered a masterpiece of Art Deco styling and one of the most popular cameras ever produced. Teague's camera designs for Kodak expanded into the design of Kodak's displays, retail spaces, and exhibits. A self-described late starter whose professional acclaim began as he approached age 50, Teague stands as a great example for those who aren’t sure to start after a certain age! In 1926, he assembled an industrial design consultancy, now very well known as ‘Teague’, which carries on his legacy today, in name and vision. Any facts, figures or references stated here are made by the author & don't reflect the endorsement of iU at all times unless otherwise drafted by official staff at iU. This article was first published here on 18th December 2016.